Launched in Paris during the COP21 summit, the International Solar Alliance, spearheaded by India and France, has this week welcomed Australia to the fold. Australian Foreign Minister Julie Bishop with Indian PM Narendra Modi. The International Solar Alliance (ISA) has swollen to 35 countries this week following the admission of Australia. The ISA was launched by Indian Prime Minister Narendra Modi and then-French President Francois Hollande at the COP21 UN summit on climate change in Paris in 2015. The aim of the ISA was to help bring financial and technical support to developing countries located within the tropics and eager to boost their solar footprint. More than 100 countries have expressed an interest in joining the alliance, but the numbers so far have been lower. Headquartered in India and boosted by a €300 million funding pot supplied by the French Development Agency, the ISA is building towards mobilizing $1 billion in financing for global projects to support solar power growth between now and 2030. The Indian Renewable Energy Development Agency (IREDA) and the Solar Corporation of India (SECI) have already contributed funds, and the addition of wealthy Australia to the ISA is likely to inject some much-needed confidence into the alliance, which has perhaps been slow to make tangible progress since its creation almost two years ago. Indian PM Modi said Wednesday that Australia’s admittance into the alliance will provide the ISA with “a great boost”. 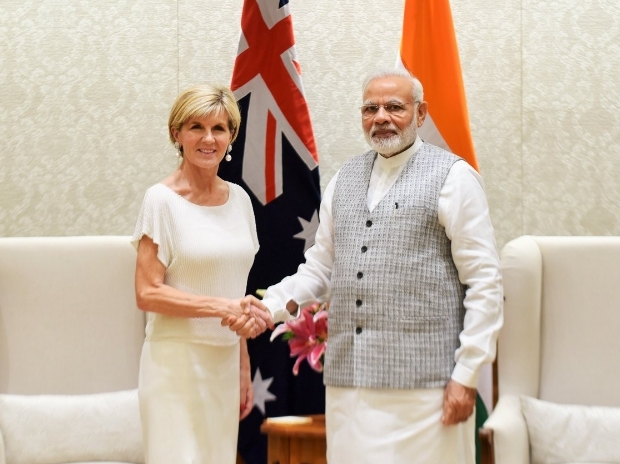 Modi met with Australian foreign minister Julie Bishop in Delhi this week, with the two figureheads discussing bilateral relations between the two nations that were first discussed in April when Modi met with Australian PM Malcolm Turnbull.